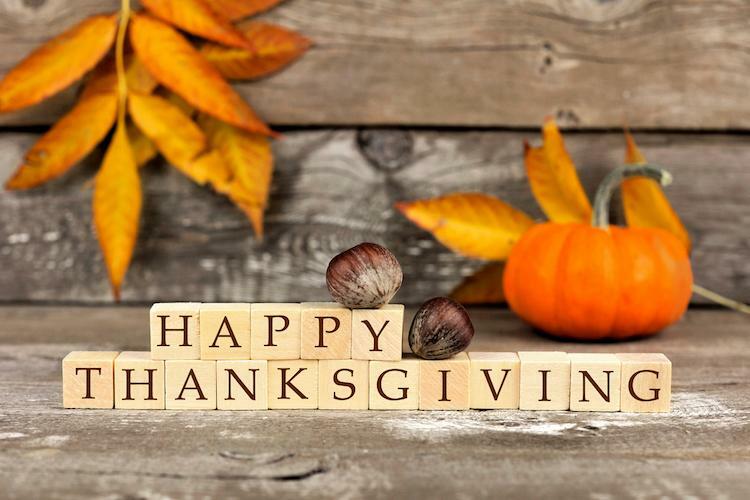 We are Thankful for You! 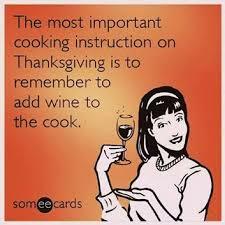 Plus, Wine Pairings for Thanksgiving. Have we told you we are thankful for you lately? Well we are! 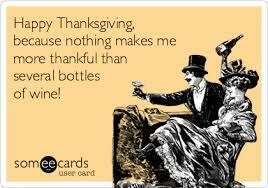 Below you will find our hand selected "short-list" of wines for your Thanksgiving feast. We all know that a lot of time and effort goes in to the execution of this meal. 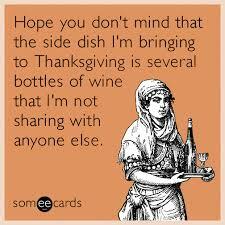 Just as each family is different, so are the recipes, so please stop in and chat with us if you would like a more specific pairing suggestion. If you can find time between mashing the potatoes and stuffing the bird that is. 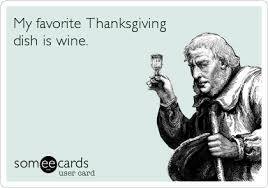 Tastings will feature wines to pair with your Thanksgiving feast! 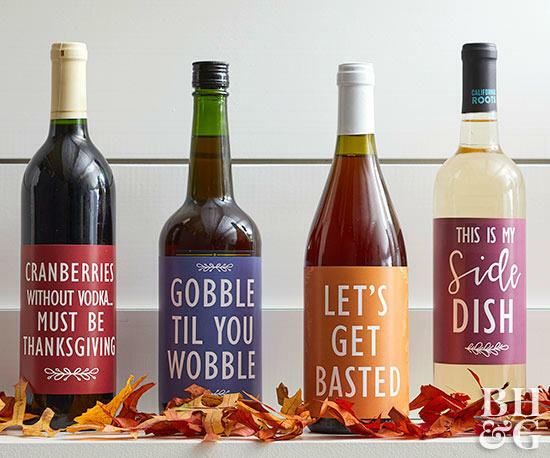 All wines have been selected with Thanksgiving in mind! Check us out on Facebook and Instagram to find out more on the date. 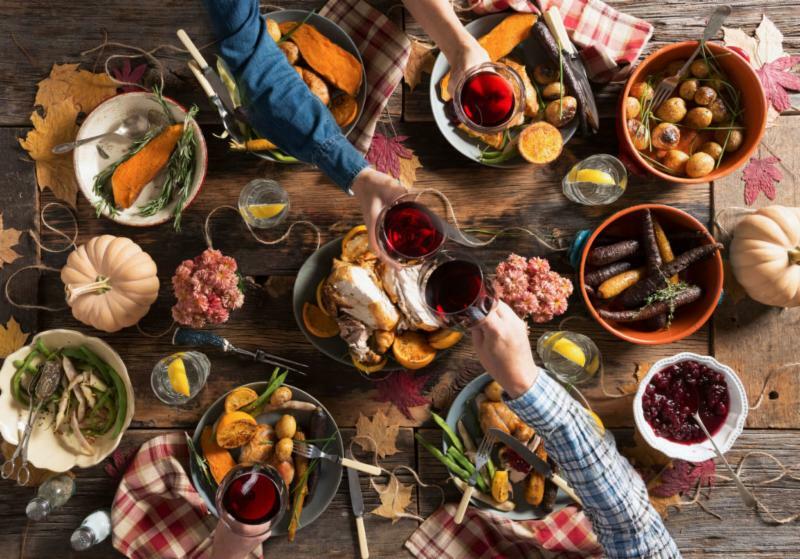 The following wines are great, hassle-free options for just about any dish you might have at your Thanksgiving feast. Dr. Loosen Riesling, 2017 , $13.99 - For a more classic white wine pairing for turkey dinner, Riesling is the way to go. Yalumba Viognier, 2017 , $14.99 - Light, perfumed, and lush, this Australian Viognier is a great choice to accompany the flavors of a classic Thanksgiving turkey dinner. Pine Ridge Chenin/Viognier , $14.99 - Adding body from Chenin Blanc this round, smooth and perfumed wine is a crowd-pleaser. 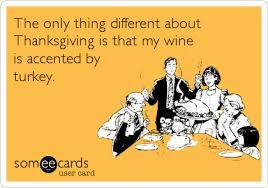 Quinta Seara D'Ordens Fine Ruby Porto, $15.99 - Put some in your cranberry sauce and drink the rest! Domaine de la Mondone, 2016 , $16.99 - It wouldn't be Thanksgiving without a bottle or three of Beaujolais and this one over delivers for the price. Maison Angelot Bugey Mondeuse, 2016 , $17.99 - For a fun esoteric wine, try this for an alternative to Beaujolais. Frog's Leap "La Grenouille Rougante" Rose, 2017 , SALE: $18.99 / REG: $27.99 -Whether your favorite part of the Thanksgiving meal is the turkey or the sweet potatoes, this dry rosé will pair well with everything on the table. Helioterra Pinot Blanc, 2015 , $21.99 - This is a Pinot Blanc with serious attitude, it has weight, depth, and great acid. At this price it is a wonderful option for the feast. Albert Boxler Reserve Edelzwicker, 2014 , $29.99 - Alsace is arguably the source for the most food-friendly wines on the planet. ﻿ Blandy's Sercial 5 year Madiera , $29.99 - Nuts, toffee, and dried fruit dominate the nose of this fortified wine. I'd recommend pairing this with pecan, apple, or pumpkin pie. 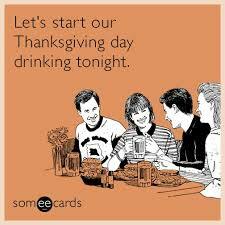 ﻿Gustave Lorentz Cremante D'Alsace , $31.99 - A perfect option for pre-meal festivities and lighter fare. 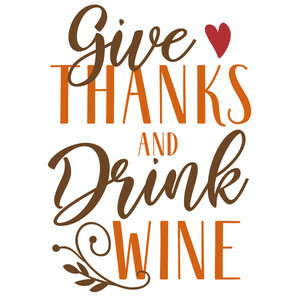 Horse and Plow The Gardener Carneros, Pinot Noir, 2014, $32.99 - This cuvee from Carneros offers both the fruity richness and palate cleansing brightness to hold its own against the smorgasbord of dishes that often define Thanksgiving. A Tribute to Grace Grenache, 2016, $32.99 - Not feeling the typical wines for the big Thursday feast? Try this juicy, bright Grenache. Francois Chidaine Clos Habert Montlouis Sur Loire, 2015, $35.99 - Off-dry Chenin Blanc could be a perfect pairing for Thanksgiving. With a touch of residual sugar and plenty of acid, this wine can carry your meal dish to dish, with ease. Lopez de Heredia Rioja Reserva Bosconia, 2005, $42.99 - Choosing a red for the feast can be tough but if your menu rests more on the savory and hearty herbs side of the spectrum this is the wine for you. Digby Fine English Leander Pink Brut Rose , $68.99 - This is a beautiful English bubbly from the fabled White Cliffs of Dover. It has plenty of weight and vibrancy and will easily stand up to any dish you throw at it. Mount Eden Vineyards Chardonnay, 2011, 69.99 - With ripe apple, pear, vanilla, buttered bread, and white flowers it's easy to see why this wine would pair so well with Autumnal fare. Hugel Pinot Gris Vendage Tardive, 2001, $99.99 - Gorgeous, luxurious, rich, honeyed, sweet but impossibly balanced, these wines can be served at either the beginning or the end of a meal. Bouchard Pere et Fils Vigne de l'Enfant Jesus, 2010, $137.99 - An epic wine from an epic vintage, this Pinot Noir brings nuance and complexity to a thoughtful meal. A long, unrushed, dinner would allow you to experience the evolution of this wine in the glass as you move dish to dish. CLICK HERE for our Wine Blog - You pick a Topic!